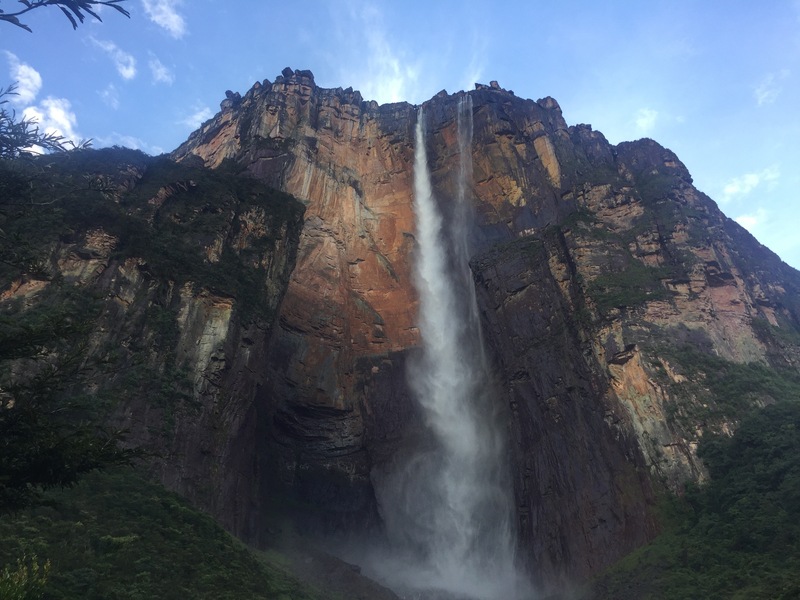 I have just returned from my first scheduled adventure to see Angel Falls, the world’s highest waterfall. What an adventure to start my trip with! It’s not any easy sight to get to and it’s not for the easily deterred. 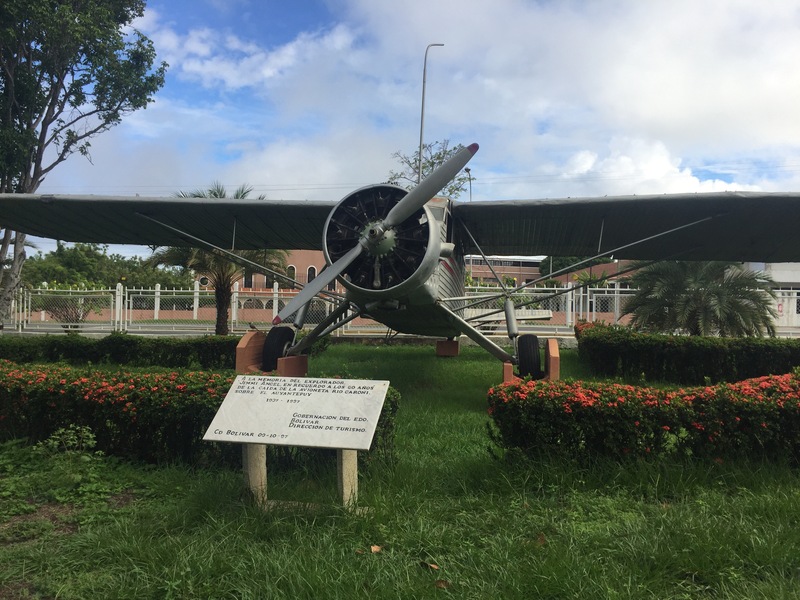 It all started out at Ciudad Bolivar airport early on Sunday 2nd July with me taking a shot of the iconic Jimmie Angel plane outside the entrance – this is the American explorer the falls are named after who first landed on top of the mountain Auyantepui in search of gold in 1937. Shortly after this I was herded into a four person plane with two other tourists also taking the trip and the captain. 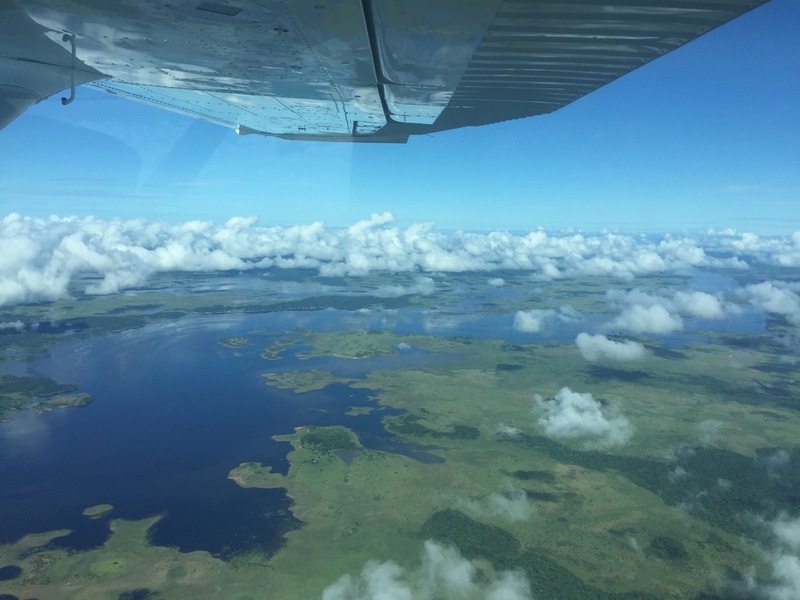 It was an exhilarating flying experience, despite, or maybe because of, the false start and the panoramic views of the Venezuelan landscape were outstanding. Bursts of rainfall and cloud meant we saw rainbows frequently and the hour’s journey was over in no time. After a short briefing once we had arrived in our lodges, we set off around lunchtime for the boat ride up river to the base of the falls. This was half the adventure with wild rapids and little safety measures. 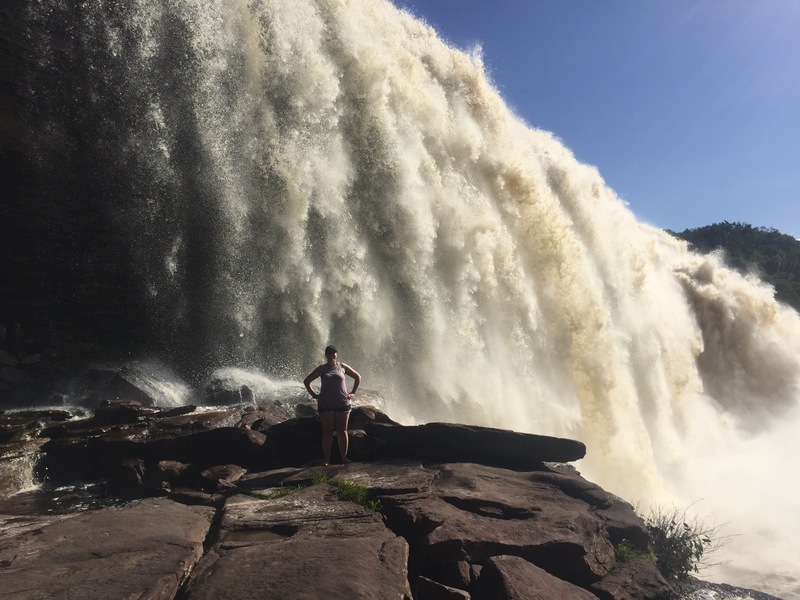 Our local guides were very experienced and took us the best routes up the river with no problems – in the dry season passengers have to get out and pull the boat over the rapids and rocks. Eating our humble packed lunches halfway through the three hour journey was a highlight for me, and not just because it was the first food I had eaten in 26 hours, but because of the serenity and contentment I felt looking at the spectacular scenery and forgetting any of my worries. About an hour from the base, it started to rain, not a drizzle but a pour. There was thunder and lightening, and with our coats stored away from us it was not looking good. We had only just finished drying out from the rapids. The guide kindly gave me his waterproof but the effort was in vain and I got soaked anyway. 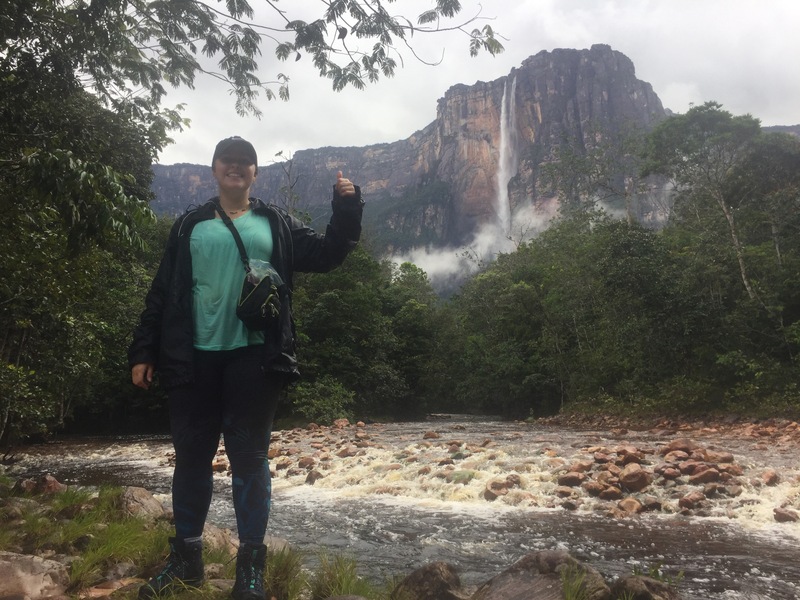 When we arrived, I swapped my flip flops for walking boots (perhaps a bad idea as I managed to soak them from the inside out) and we began our assent through the jungle to the closest point to Angel Falls we could reach. I was surprised by how hard I found the hike, but with my little legs and relatively low fitness I guess I shouldn’t have expected an easy ride. The slippery roots and rocks were hard to follow behind the experienced guide, José. The humidity meant that even with the shelter of the canopy, our tops were still wet and clinging to us the whole time. Red, puffed and sweating we reached the viewpoint after and hour and wow was it worth it. The weather had cleared and the falls looked picture postcard perfect – blue skies peeping through and a clear view across the river valley to the surrounding peaks. Here we stayed undisturbed for almost half an hour before beginning the decent to our lodgings for the night. It certainly felt like we had earned the reward of seeing the world’s highest waterfall. The decent was easier to start with but overly confident I managed to slip on to my backside once. Fortunately it caused no injuries, just a bruised ego. As dark set in were were keen to get back to the lodgings and change into some dry clothes. The dinner was a delicious chicken cooked on the fire and our beds were hammocks open to the jungle – the only walls in our lodge was for the toilets. For a long time the openness disturbed my sleep – I’m not a lover of wildlife. But even in the discomfort of the hammock I hadn’t mastered, I finally drifted off to sleep. 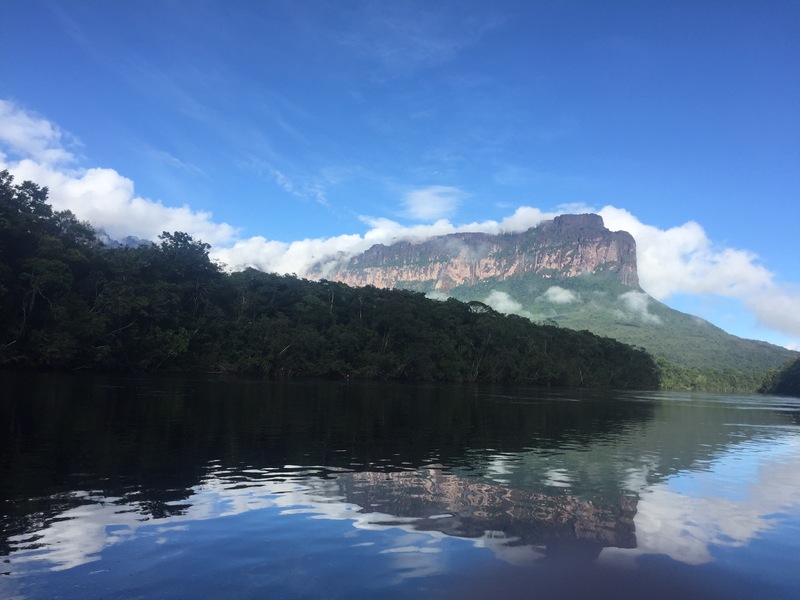 Waking early to a view of the falls one last time, we set off to return to our lodgings in the Canaima Lagoon (Tepuy Lodge). The journey back was dry and speedy with the current behind us and the beautiful peaks appeared to be steaming through the clouds. 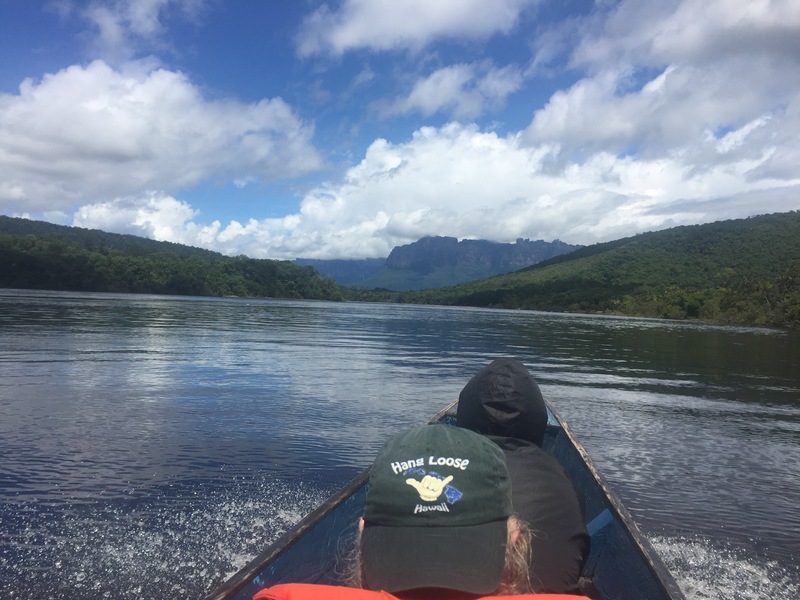 Later that afternoon we took a shorter trip across the lagoon to Sapo Falls. This was still thrilling, as although much smaller we could stand much closer to the falls and we even got to walk behind them on a naturally-made path. The water boomed over our heads, soaking us once again from head to foot. Here we saw beautiful rainbows and amazing butterflies. The trip was truly outstanding and I hope to remember the experience for a long time. I had anticipated the spectacle for a few months but to finally see it with my own eyes was fantastic – made even better by the fact that less the 15-20 people a week make the journey (it used to be as much as 150 a day). 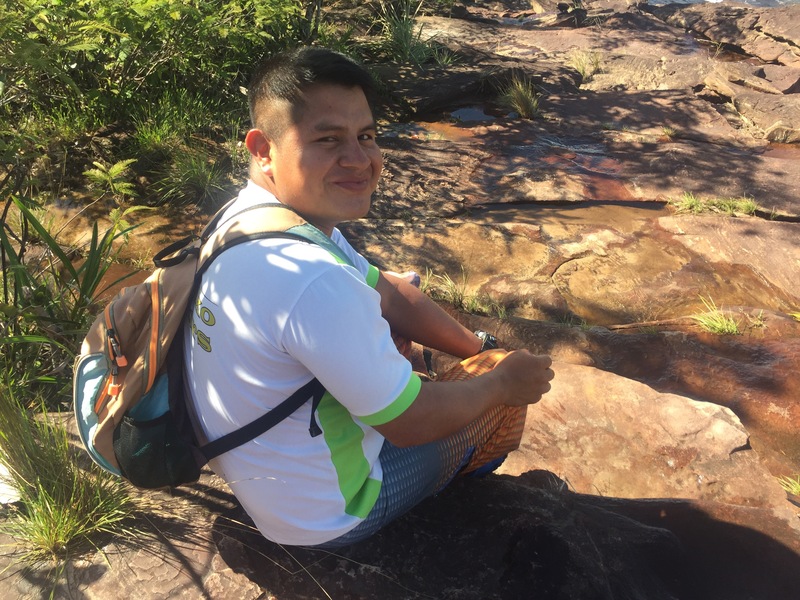 A huge thank you to our guide, José, who will never see this for making the trip so memorable and putting up with me nearly slipping over every five seconds. 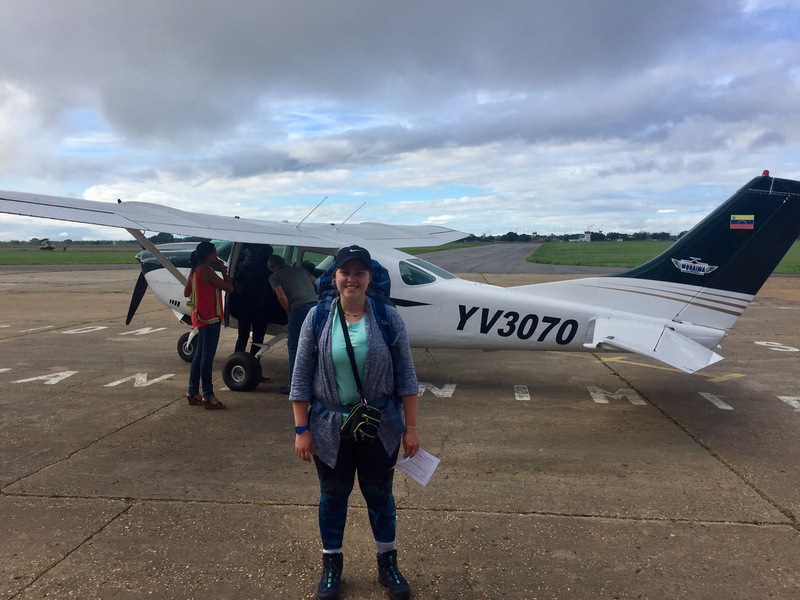 Now back in Ciudad Bolivar, nursing my bug bites, I prepare for an truly challenging adventure to trek to the top of Roraima, a table mountain on the Venezuela/Guyana border. The trip includes up to eight hours hiking a day in steep, perhaps wet conditions. I’m slightly nervous that it might be too much for me to handle but there’s not much I can do about that now. Wish me luck! Absolutely stunning! Some of these photos are breath taking!! Wow! What a truly momentous start to your adventures. Great read and beautiful photos. Looking forward to your next daring exploit.